What is the treatment of non-smokers lung cancer? Smoking is one of the main causes of lung cancer. Those who smoke 2 to 3 packets of cigarettes daily or smoke for 20-30 years daily, 90 percent of them are at risk of lung cancer. So those who do not smoke, are they absolutely safe? Non-smokers may also be lung cancer. Even women are at risk. Do not smoke, do not neglect some symptoms, it is not. Environmental and workplace contamination, vehicle fumes may cause lung cancer. To protect yourself from the smoke of burning wood or coal burning or traffic. It is good to use a mask while working in the industry. Women and non-smokers have different types of cancer. Indirect smoking can also cause others to be cancerous. Signs of lung cancer are several days of a cough, bleeding with a cough, fever, weight loss etc. However, some unfamiliar symptoms may also cause lung cancer. For example, the voice changes. Moderate cough type of smoker or bronchitis patient changes Chest or shoulder pain. Only 50 percent of patients can go to the doctor only with chest or shoulder pain. A sign that pneumonia or lung infection can be frequent. Cancer of other parts of the body can be spread in the lungs. Breast, colon, prostate cancer spreads more in the lungs. 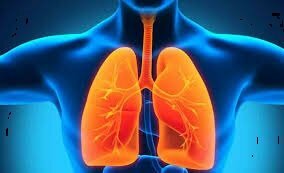 If there is a history of such a disease, no symptoms of lungs can be neglected. welcome brother. your habit is good and I also dislike to smoke. cannabinoids its the cure of cancer !! Nice article. The actual reason for the differences between patients I have pointed out in my latest article, where I wrap up why we haven't cured cancer yet. Cancer heterogeneity has been a huge barrier for the development better treatments. The next step in the war on cancer will be laying in personalized treatments. yes brother, I agree with you.